Nature At The Confluence is bringing nature back into the fabric of our communities, schools, and family life. 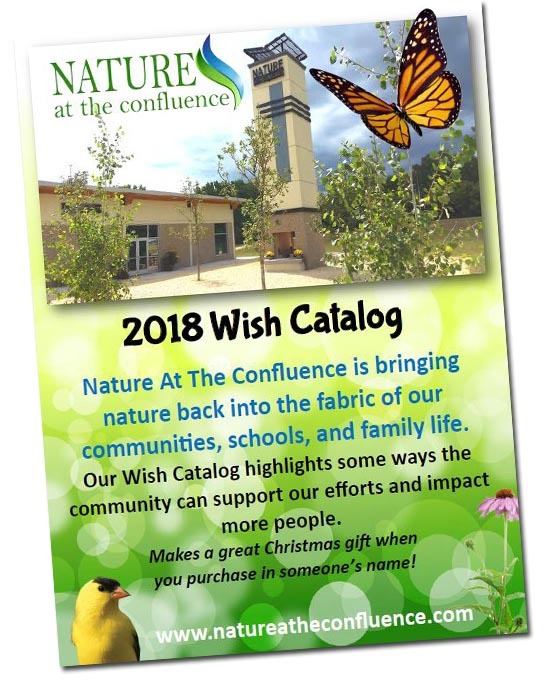 We have exciting plans for the coming year and the 2018 Wish Catalog highlights some ways the community can support our efforts and impact more people. Makes a memorable gift when you purchase in someone’s name or in someone’s honor!